After premieres in just one week, but we’re impatient, so we’ve rounded up every steamy still from the film right here for your viewing pleasure! Josephine Langford and Hero Fiennes Tiffin team up to bring Anna Todd‘s Wattpad story to life. Tessa is headed to a college party with roommate Steph in this brand new clip from After. However, the dress she picked out really isn’t for *this* party at all. 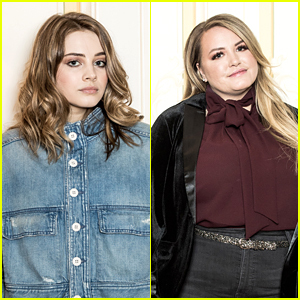 The movie, starring Josephine Langford, Hero Fiennes Tiffin, Khadijha Red Thunder and more, centers on Tessa, as she enters her first semester in college. Armed with grand ambitions for her future, her guarded world opens up when she meets the dark and mysterious Hardin Scott, a magnetic, brooding rebel who makes her question all she thought she knew about herself and what she wants out of life. After hits theaters on April 12th. Check out the clip below! It’s safe to say that Anna Todd is a huge fan of Josephine Langford. While picking out her favorite scenes in the After movie with IBT, Anna opened up about how amazing Josephine is as Tessa in the big screen adaption of her novel. Anna added that Josephine actually has chemistry with the book. Josephine, Anna and Hero Fiennes-Tiffin are all pictured below in a portrait session during their recent visit to Milan, Italy over the weekend. After is set to hit theaters on April 12th. Hero Fiennes-Tiffin joins co-star Josephine Langford at the After Photo Call on Sunday afternoon (March 31) in Rome, Italy. The 21-year-old sported a pink blazer and white T-shirt while the actress, also 21, looked stunning in a white dress as they promoted their new movie. 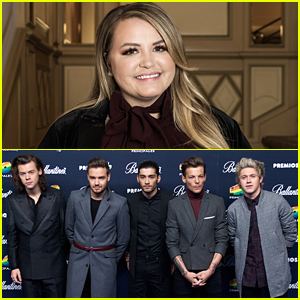 After author Anna Todd is so grateful for all the support during the film’s press tour! The 30-year-old writer, who penned the book on which the film is based, took to her Instagram in the midst of the world tour with stars Josephine Langford and Hero Fiennes Tiffin. “The support on this tour has been overwhelmingly incredible. We’ve heard so many amazing things about the movie from those of you who have watched it, and it means the world to us,” Anna wrote. We can’t wait to hear about the trio’s adventures in Paris!